The unforgettable story of Dorothy’s journey to the magical Land of Oz is retold in this beautiful gift book from renowned illustrator Júlia Sardà. Meet Dorothy and her little dog, Toto, as they travel through the magical Land of Oz in search of the Emerald City, home to the mysterious Wizard of Oz. 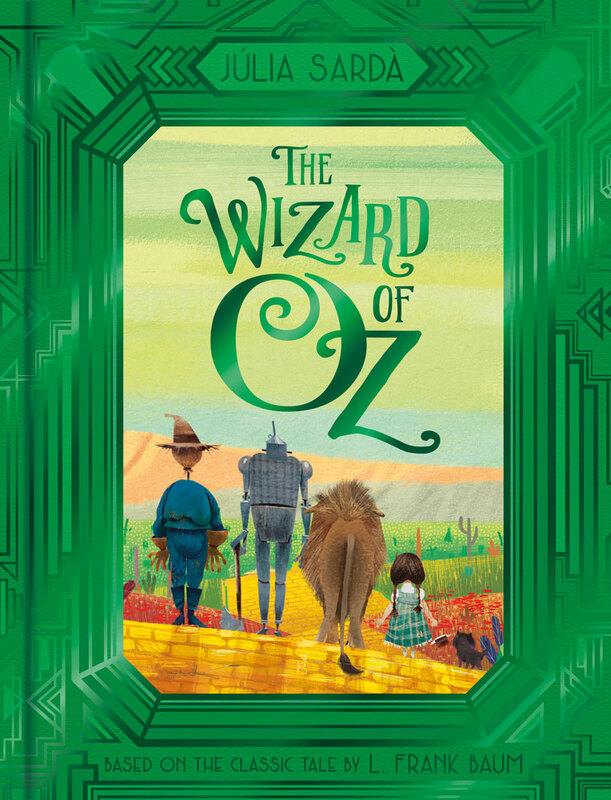 At Dorothy’s side are her new friends, Scarecrow, Tin Man and Cowardly Lion – determined to help her find the Wizard and get back home to Kansas. L. Frank Baum’s classic tale, celebrating friendship, kindness and the power of belief is retold for a new generation of young readers – with glorious illustrations from acclaimed illustrator Júlia Sardà. This is truly a gift book to treasure, a magical book for readers young and old! The Wizard of Oz film adaptation, starring Judy Garland, celebrates its 80th anniversary in 2019.